This guide has been created for those who want to find out what are and how they are made the main specialties of Sicilian cuisine. Sicilian culinary tradition is surely among the richest and most important of Italy, as a result of the influences of all those cultures that settled in Sicily over the centuries. It's a complex cuisine, full of Mediterranean taste, held in a unique balance between land and sea. 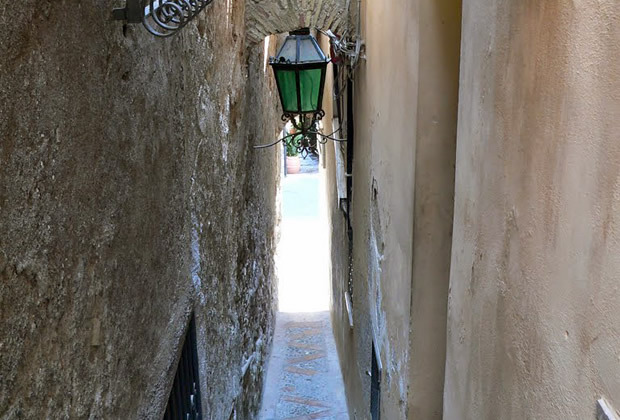 In various areas of Sicily, it is natural to discover typical products which are everytime different and strictly connected to the land, which unavoidable turn a cultural and tourist route into a delicious food and wine tour. Considered the king of Sicilian bakery, the cannolo boasts centuries of history and consists of a tube of fried dough filled with fresh ricotta. Depending on the area in which you are, the external stuffing can be enriched with candied orange zest, pieces of pistachio or chocolate chips. However, the cannolo can be also filled with chocolate cream instead of ricotta. 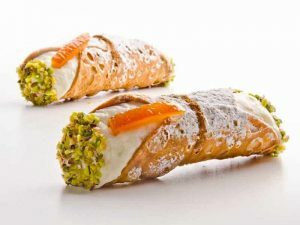 Initially, the cannolo was prepared during Carnival season, but its incomparable deliciousness allowed Sicilians to make it largely popular, becoming a famous example of Italian pastry in the world. If the cannolo is the king of Sicilian pastry, the cassata is surely the queen. 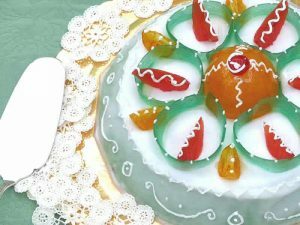 The old recipe of the cassata consists of a sponge cake in which the ingredients are fresh goat's ricotta, almond paste (also said royal paste), glace icing and decorations of candied fruit, which add a royal look to the cake and make this dessert of Palermitan origins a real temptation. There are local variations of the cassata and you can also find the single portion, called "cassatina". 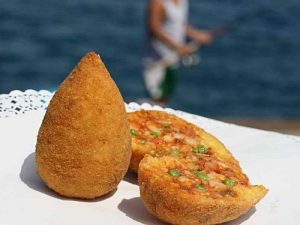 Another symbol of Sicilian cuisine is the arancino, commonly called arancina in the western part of the island. 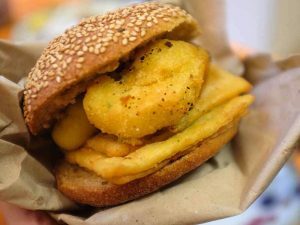 Typical creation of Sicilian deli food, the arancino can be in the form of a cone or a ball of rice, stuffed, breaded and fried. Its filling can be made of meat ragù or butter, but other variations such as "alla Norma" or even chocolate exist. 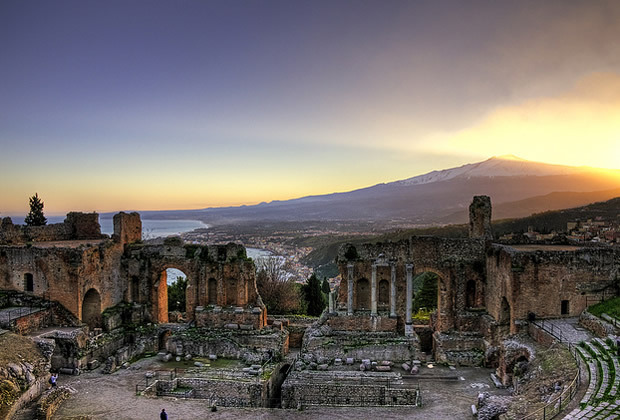 Its origin has been debated a lot and all Sicilian cities compete for the paternity. However, the arancino, wherever tasted, is an undeniable deliciousness to try any time of day. 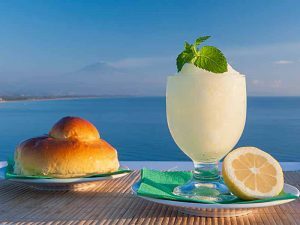 Since the ancient times, Sicilian granita has been the typical breakfast of the Sicilian people who live in coastal areas, especially during the warm season. Enjoyed also as a snack in the afternoon, granita consists of ground semi frozen ice with sugar, water and essence of the main ingredient (lemon, pistachio, coffee,etc...). It is almost always to enjoyed with the classic brioche with tuppo made with an egg-raised dough. The most famous flavours of Sicilian granita are: lemon, coffee and cream, pistachio, strawberry, almond, chocolate, peach, jasmine and dark mulberry. 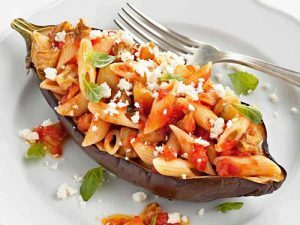 Among the most delicious Sicilian specialties, first courses cannot be omitted, including the popular pasta alla Norma, characterized by typically Mediterranean flavours: cooked with macaroni or any type of short pasta seasoned with tomato, fried eggplant, salted ricotta and basil. Originating from Catania, pasta ca' Norma was given its name by playwright Nino Martoglio, who, due to its goodness, comparated it to the famous dramatic opera by Vincenzo Bellini. Impossible to avoid mentioning Palermitan street food. It occupies one of the first places in the world classification published by Forbes and its symbol is represented by panelle with bread. Panelle are prepared with chickpea flour, water, parsley and salt; the batter obtained is then cut and fried. 'U pani chi panelli is a delicious snack often combined with crocchè (also called cazzilli) that consist in potato croquettes, black pepper and parsley. With its dozens of variations, Sicilian caponata is a dish full of Mediterranean flavours of sweet and sour taste. 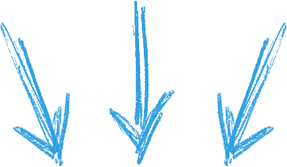 It can be utilized as a side dish or as a main course combined with bread. The ingredients depend on the local customs of the island, but the main ones are: fried eggplants, tomatoes, capers, olives, celery, onion, salt, vinegar and sugar. 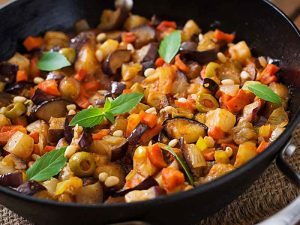 Caponata represents the typical "poor dish" characterized by a rich and savory taste, which is consumed during the summer months when the eggplant is perfectly in season. Another important Sicilian main dish, of Palermitan origin, is pasta with sardines that can be cooked in many ways. 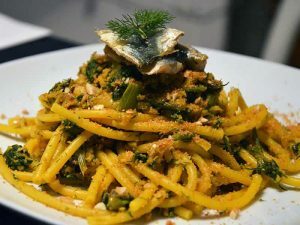 The more classic recipe includes the combination of long pasta (bucatini or macaroni) with fresh sardines, wild fennel, raisins, pine nuts, onion, saffron, olive oil, salt and black pepper. Pasta with sardines is a wise mix of earth tastes and inebriating sea fragrances with sweet-sour marks. A typical dish of west Sicily and north Africa is cous cous. 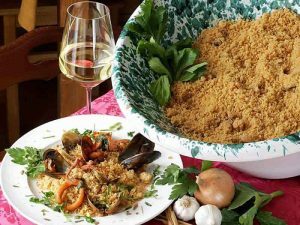 In particular, cous cous is cooked in the province of Trapani where the locals called it cùscusu. It is prepared "incocciando" durum wheat flour, steamed in a particular perforated pot made of enamelled terracotta and then seasoned with several ingredients to get cous cous with fish or with vegetables. For its multicultural origin, it is celebrated as the Dish of Peace. Also called Pasta Reale (Royal Paste), because considered "fit for kings" for its goodness, almond paste is another typical product of Sicilian pastry-making. 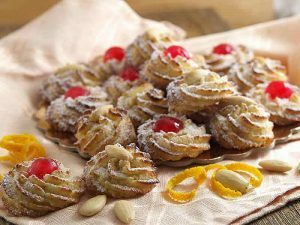 It is utilized for the preparation of many sweets, such as: biscuits and pastries with almonds or candied fruit, "frutta martonana" (which is given as a gift on the occasion of All Saint's Day), cassata and cassatelle. Derived from almond-tree seed, which is very used in Sicilian cusine, almond paste is also produced in other regions of Italy, but it is officially recognized as a product of Sicilian agricultural tradition. 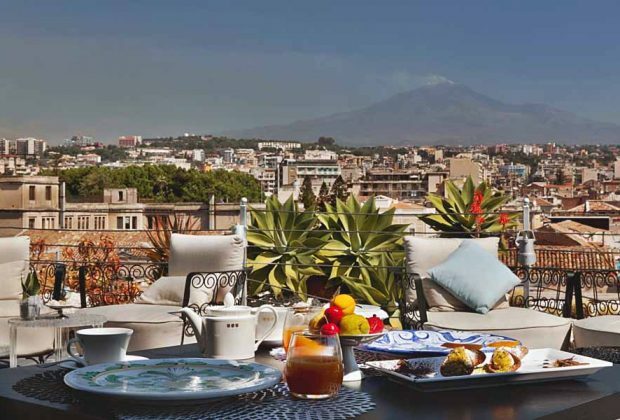 For now, enjoy your meal in Sicily!